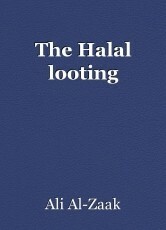 Wide scale looting was one of the ugly faces of the invasion and occupation. Stopped by him and advised against looting, one of the looters replied in a hurry, “No, the Mullah said it is halal (religiously allowed). This was not totally true as most Masjeds (Mosques) started to advise through their loudspeakers and during prayers that the looting is ( Haram) and against the rules of the Islamic religion, that it is shameful and disgraceful, and that everything taken must be returned. Very few responded. © Copyright 2019 Ali Al-Zaak. All rights reserved. Biography Dr. Earl Kenneth Wade, Ph.D.